Hearthfire required. Adds recipes for food items that don't have one. HEARTHFIRE REQUIRED. 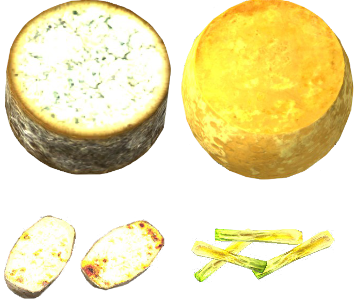 This mod adds the following ingredients to the game. Their recipes will be in parenthesis, and the amount of the item crafted will be in brackets. 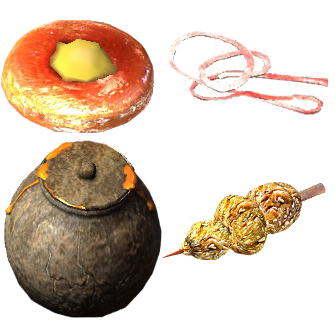 This mod adds the following recipes for existing items to the game. Their recipes will be in parenthesis, and the amount of the item crafted will be in brackets. All of the items above are able to be crafted in either an oven (added by Hearthfire) or a cookpot (Vanilla). If there's something you want to know, PM me. If you feel there's an recipe that I missed (in the mod itself), then please PM me and I will add it ASAP. I will not take suggestions.